A Cornish MP has praised one of Cornwall’s leading heating companies for its commitment to reducing fuel poverty, as well as its apprenticeship programme. George Eustice, MP for Camborne and Redruth, visited Blue Flame Heating at its Penryn headquarters on Monday (April 8). Blue Flame director, Paul Smith, who co-founded the business in 1998, said: “It was great to meet Mr Eustice and talk about the work we’re doing to provide expert training and employment opportunities. 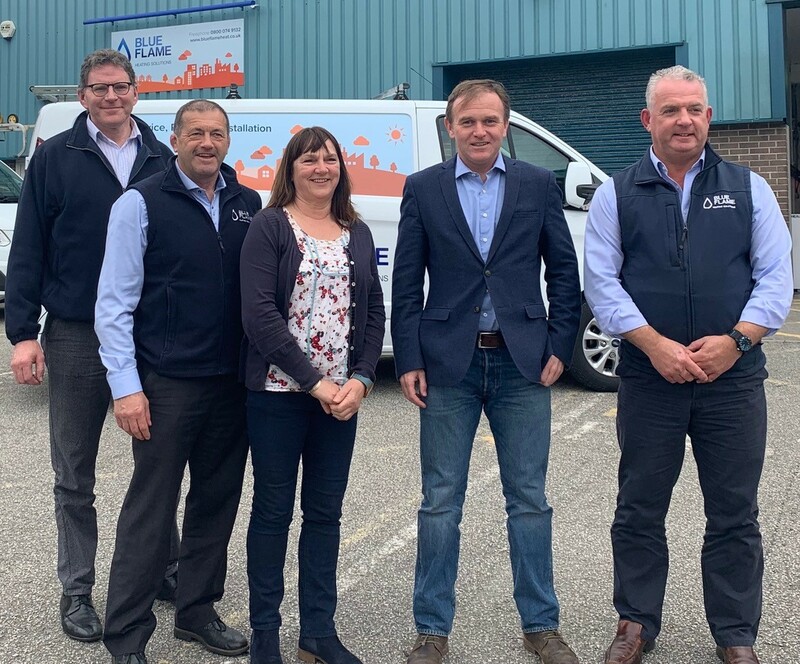 During the visit, Eustice spent time with three of Blue Flame’s four directors and founders, Mark Bolitho, Paul Smith and Debbie Smith, and had a tour of the company’s facilities. He said: “It was great to be able to meet Debbie, Paul and Mark at Blue Flame. “They do fantastic work locally helping to tackle fuel poverty by assisting their customers with solutions to alleviate it. “Blue Flame has also been instrumental in pioneering its own apprenticeship programme at Cornwall College helping to train the next generation of gas engineers in Cornwall.